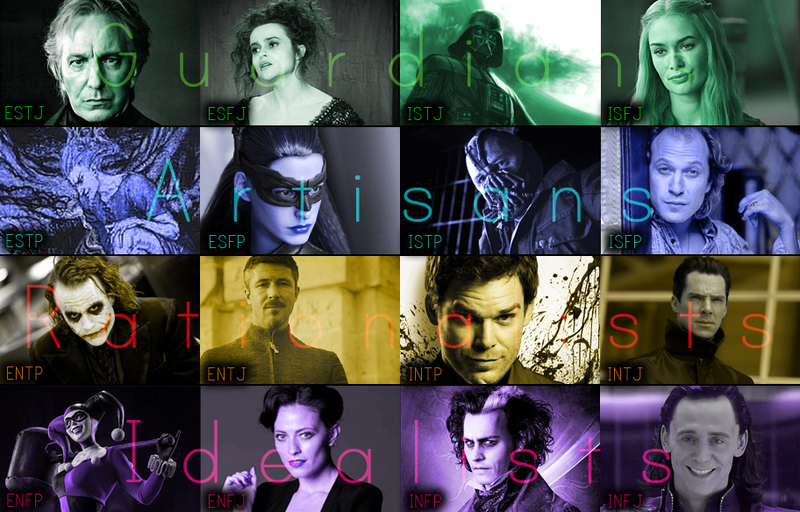 Post your ideas on what kind of villain each MBTI type would be. Examples, descriptions, theories, pictures . . . all fair game. I've seen Hitler classically typed as INFJ, but there is a theory that he was actually a very unhealthy ENFP. For once I concur with the choice for an INFP villain. I think they have to be idealists gone horribly wrong. Usually a slow decline into darkness. He’s a sick puppy but he honestly believes he’s a crusader for a better world. I really enjoyed the first two seasons of Daredevil. Edit: I should clarify I’m talking about Wilson Fisk from Daredevil. 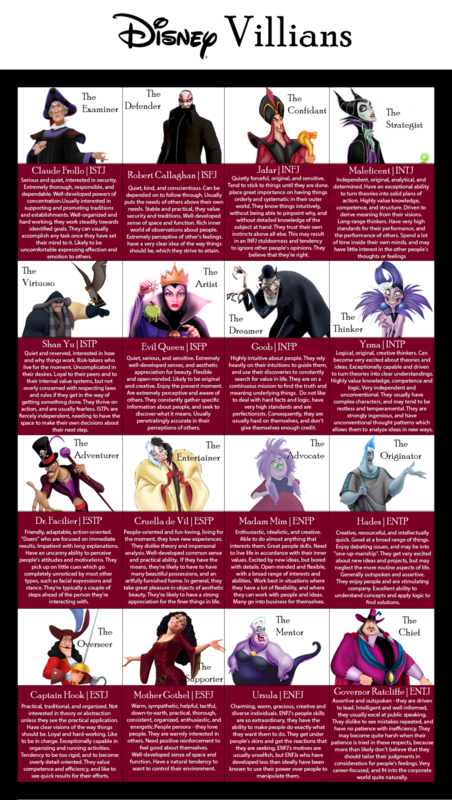 INFP villain would be me. 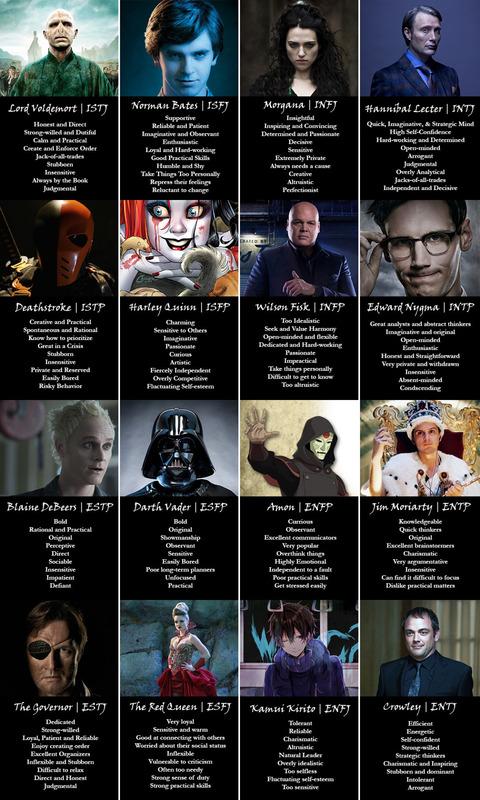 yeah, but how many different kinds of INFP villains can there really be? It's possible. I've never really seen the INFJ typing for Hitler as working. I really just don't see him as any of the NF types. None of them just seem to fit in my honest opinion. Then at certain levels of destructiveness, people can become unrecognizable. I thought Moriarty was an INTJ, at least the classic version from Doyle. MBTI typings by preferences or functions?